The very sleek second-generation Camaro, introduced in February 1970, was built only as a coupe. The sizzling-hot 1970 Z28 packed a new 350-cid solid-lifter V-8, while the RS appearance upgrade now featured a split front bumper. Camaro power ratings diminished in 1971 as GM prepared engines for unleaded fuels. 1972 marked the end for the Camaro SS — and its big-block 396 V-8 option; two years later, the Z28 would go on hiatus. The Camaro LT quasi-luxury package appeared in 1973, even as the split-bumper RS entered its final year — making an LT/RS/Z28 build possible this year only. A new wrap-around rear window appeared in 1975. Even though 1975-76 Camaro models were relatively mundane, sales picked up significantly during 1976. 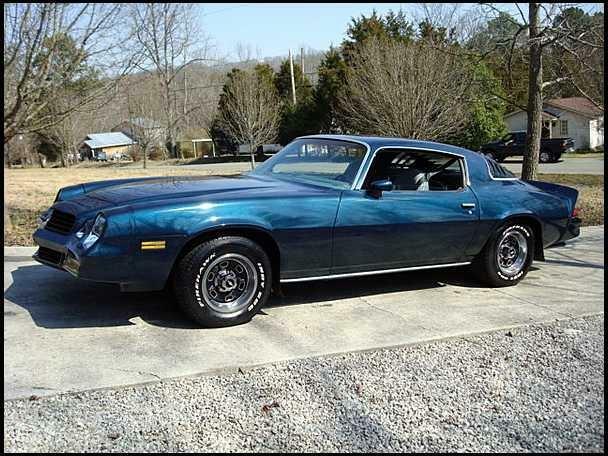 In mid-1977, the Z28 returned, featuring bold graphics, extensive handling mods and fair-to-middlin’ V-8 performance. Camaro sales reached a record 282,571 in 1979. Among second-generation Z28s, the truly brutal '70 is especially prized, while the once plentiful 1978-79s are still easiest to find. Camaros equipped with uplevel LT/Berlinetta packages might be the sleepers here.